Regular strain from the Old School Genetics Collective, a true old school Sativa developed from a very special elite clone, the Jamaican x Blueberry cut selected by grower Marleys from Cannabiscafe forum. Suitable for indoor, outdoor and greenhouses. 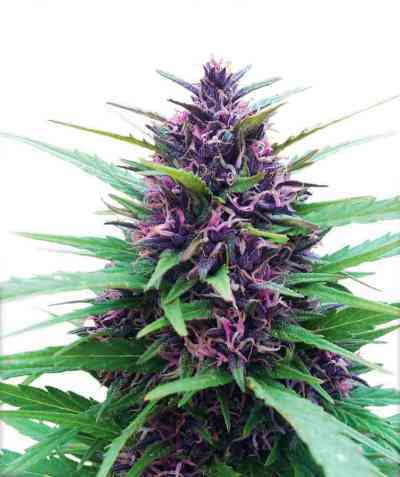 Jamaican Blueberry is an early flowering, mostly Sativa variety ideal for outdoor crops and greenhouses. It develops beautiful colors which range from reddish to bluish, a true delight for the eyes. The buds end the bloom stage completely covered with trichomes and release a very intense lemony scent. If planted directly in the ground it will show its full potential and Sativa behavior. It grows fast and slender, with long and robust side branches that support the weight of the buds without problem. If grown indoors, soil is the best medium for this plant. Its Jamaican landrace genes don’t make it suitable for hydroponic systems, since it is not used to high levels of oxygen in the root area. The flowering period is fast, needing only 60 days to ripen. 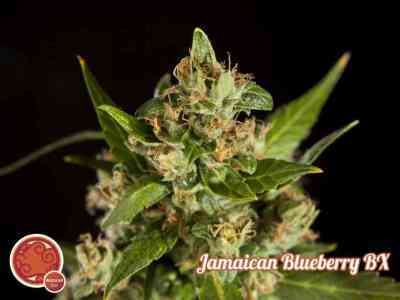 Marleys’ Jamaican Blueberry has intense citric and incensed notes, typical of some tropical Sativas. If you love old school Sativas you must try this one! The effect is creative and stimulating, ideal to smoke during the daytime. 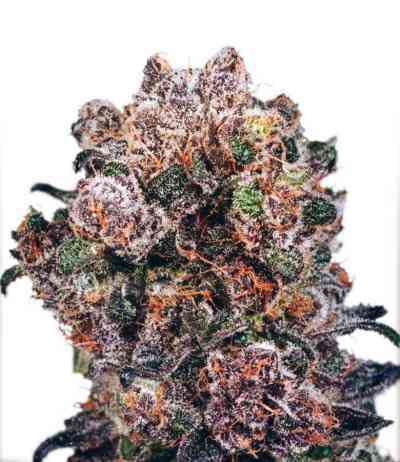 It easily reaches 17% THC, and the uplifting effect that it induces is perfect to socialize and have lots of fun.